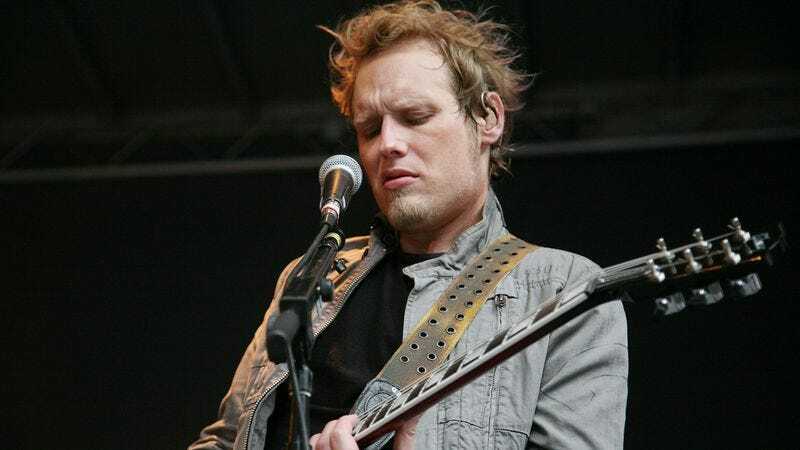 Billboard is reporting that Matt Roberts, a founding member of 3 Doors Down, one of the most successful bands of the early 2000s, has died. Roberts was 38. 3 Doors Down was founded in 1996, by childhood friends Roberts (lead guitar), Brad Arnold (vocals and drums) and Todd Harrell (bass). Of the three founding members, only Arnold is still with the band; Roberts departed in 2012 for health reasons, while Harrell was removed from the band after being charged with vehicular homicide in 2013. Accompanied by guitarist Chris Henderson, the group exploded into the public consciousness in 2000 with “Kryptonite,” the first single off its debut album The Better Life. (The album would later lend its name to a charitable foundation run by the group’s members, credited with raising funds for Habitat For Humanity and lending support to towns damaged by Hurricane Katrina.) The Better Life—which also featured the hit singles “Loser” and “Duck And Run”—was the 11th-best-selling album of the year, and secured 3 Doors Down its dominant place in the musical scene of the early 2000s. Roberts’ death was announced today by his father, Darrell Roberts. No cause of death has been announced, but the TMZ report on the death suggests prescription drugs may have been involved.